Social Movements cleverly translates the art of collective action and mobilization by excluded groups to facilitate understanding social change from below. Students learn the core components of social movements, the theory and methods used to study them, and the conditions under which they can lead to political and social transformation. This fully class-tested book is the first to be organized along the lines of the major subfields of social movement scholarship—framing, movement emergence, recruitment, and outcomes—to provide comprehensive coverage in a single core text. With this book, students deepen their understanding of movement dynamics, methods of investigation, and dominant theoretical perspectives, all while being challenged to consider their own place in relation to social movements. 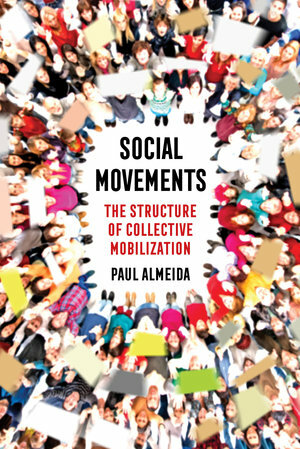 Paul Almeida is Professor and Chair of Sociology at the University of California, Merced. He is a two-time Fulbright Fellowship Recipient and received the 2015 Distinguished Scholarship Award from the Pacific Sociological Association.